Home » Altcoins » Is Blockchain Disrupting the Transportation Industry? Is Blockchain Disrupting the Transportation Industry? 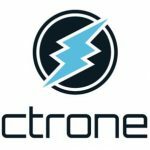 Will KYC stunt or spur the Electroneum (ETN) growth?